For every book project that is presented to me, I find myself in a new world of fantasy that I get to help realize visually. It is an incredible feeling to be able to use the design tools and incorporate my own photography work, using cool elements and effects. Creating art for a book cover is very different from designing a business brand. There are no limitations. I enjoy reading all kinds of stories, but the ones that makes me smile, cry, and laugh, are truly special. Photography and digital image manipulation are my passions, and book cover design is truly the perfect playground for a graphic designer such as me. I have designed visuals for both paper and screen for over 19 years, and have butterflies in my stomach for every book release, as if it is the first time all over again, and I’m loving it! So to all of you supporting my passion, THANK YOU for allowing me to continue living my dream. —Anita B. Carroll, Digital Artist and Owner at Race-Point.com Visual Design Consulting Studio. Anita’s work has been featured in the Examiner.com, KOBO Writing Life, Anneli’s Place, Monadnock Living Magazine, Amherst Citizen, The Milford Cabinet, and The Union Leader. Anita B. Carroll is a visual design consultant and owner of Race-Point.com, supporting self-published authors and publishing houses with all their business brand identity design needs, and offers a FRESH take on book cover design. Anita has over 17 years of experience within the visual design field, starting out managing creative initiatives for both online and print publications, for Fortune 500 Businesses in Silicon Valley, California. Experience applying brand visual design and content guidelines consistently across several products. Anita is specialized in Heuristic Evaluation, Web User Interface Design with focus on online usability testing, a valuable skill when designing book covers for the rapidly growing digital market. Anita is also an avid reader. Discovering book cover design has provided the opportunity to combine her works in photography and graphic design skills. Anita has gained experience in both the United States and Norway, and is currently working out of her home studio in New England—US, where she works with clients from around the world. Anita is also an avid photographer and a Lampwork Glass Artist, and her works have been displayed at various galleries throughout the years. In her free time, she enjoys traveling and exploring what Mother Nature has to offer with her family. … You might spot her at one of the U. S. Cape beaches, biking the National Sea Shore trails, photographing the gorgeous coastline, as well as capturing beautiful moments through beach portrait photography. To connect with Anita you can easily connect with her on Facebook (http://www.facebook.com/RacePointUS) and Twitter (@RacePointUS). 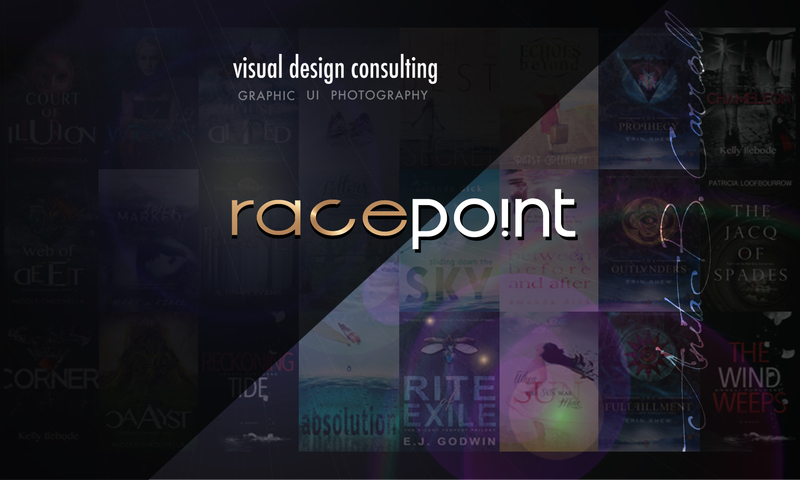 Anita enjoys connecting with self-published authors of any genre, so please feel free to contact her directly at: anita@race-point.com with any cover design questions and needs. Next PostNext Brand Identity …do you really need it?